We’ve teamed up with world leaders in fitness equipment, Technogym, to bring you a gym floor where everyone is welcome. 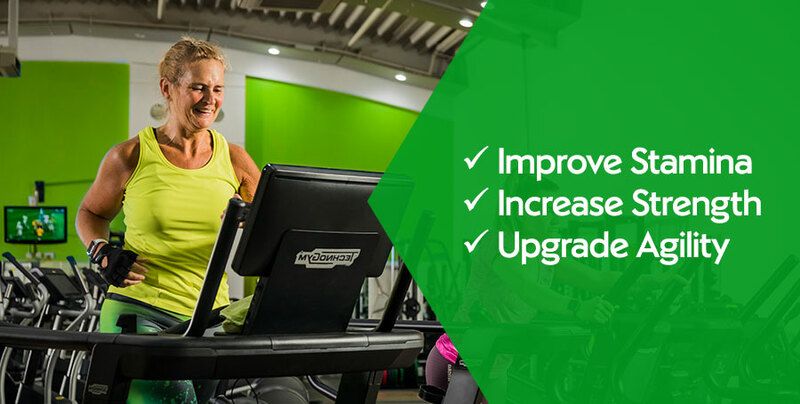 Exclusively designed by Nuffield Health, experience a brand new range of gym floor group classes, from HIIT to circuit training with a variety of cardio and functional kit. All fitness levels welcome. SKILLMILL™ is perfect for running, and suitable for runners of all distances. The innovative technology allows you to perform sessions and resistance workouts on the same piece of equipment, providing a well-rounded cardio and power training workout. SKILLROW™ is the first fully connected indoor rowing machine that combines power training and cardiovascular training. Its sport-specific design, exclusive technology and training-oriented programs for all fitness levels allows you to improve technique and performance whatever your ability. Technogym is dedicated to smarter ways of exercising. And with our expert staff's support, you'll experience completely personalised training, at whatever level and whatever your goal.